Who it’s for: All snorers, and for people with blocked noses because of allergies, illness or nasal problems. Airmax Anti Snore Nasal Clip Overview? Are you looking to buy a nasal clip, and are not sure which one you want to buy, then you found the ri ght page. I know how difficult it can be to choose the correct stop snoring device for you, what with so many purchase options available on the market these days. This AIRMAX Anti Snore Nasal Clip review will show you everything you need to know about the device, how it works, its pros and cons, and many other important matters. Feel free to skip to the parts that you find most interesting, with the handy section shortcuts. Snoring is when air is restricted through the nose and mouth because of the narrowing of airways. The muscles of your throat relax when you sleep, and your throat becomes naturally constricted. Not all snoring is the same however, and finding out what type of snorer you are is the key to getting closer to finding a cure for your snoring. The AIRMAX Anti Snore Nasal Clip is different compared to nasal strips, in that it pulls the nasal canal open, whereas nasal strips sits on the outside of the nose and pulls at the nasal canal. It is designed as such that the wings at the end will expand the nose’s narrowest parts deep in the nose, which allows for better breathing. The Airmax has also been clinically proven to work better than nasal strips in reducing and preventing snoring. The Airmax reaches deep into the nasal passages, and not just in the front part of the nose, thereby giving a much better breathing experience. The Airmax nasal clip fits easily in your nose to improve your breathing through the nose, thereby giving you a peaceful night sleep. It is effective in that it opens the nose, allows better in – and outflow of air, are effective against snoring, and leave you less short of breath because of colds. When your body and throat relaxes, gravity pulls the muscles toward the opening in your throat, causing a partial blockage or obstruction. This blockage can be anywhere from the nose down to the throat. The Airmax Anti Snore Nasal Clip works by opening your nasal airways with gentle pressure it puts on your nasal side walls, allowing you to breathe better, which then removes the obstruction in the airway and leaves a clear airway. The AIRMAX Anti Snore Nasal Clip therefore works on the premise that if it can keep your nasal breathing passages open, it can prevent an obstruction forming in your upper airway, which then prevents snoring from even starting. In other words; more air = less snoring. Airmax is effective, not only to stop or reduce snoring, but also for pregnant women with rhinitis, and for people with stuffed noses because of colds or flu. People with nasal problems and who for personal or medical reasons, do not want to or can not undergo surgery, also find great value in the Airmax nasal clips. The Airmax nasal clips is therefore more than just an anti snoring device, it is a pro breathing device. Athletes can also use Airmax to improve their breathing during training. It actually also comes in a sports version. As mentioned, people with blocked noses because of allergies or colds and flu can also use Airmax to open their airways. The possibilities are definitely endless. The Airmax nasal clips is easy to fit and do not require any special fitting, because it is easily placed in the nose. It is made from soft odourless medical certified compound, and is very comfortable to wear. Having something up in your nose might feel uncomfortable, and even weird, in the beginning, but it soon passes. There may be slight irritation and some sensitivity inside the nose in the beginning, but that passes with consistent wear of up to two weeks. You get used to this device very quickly because it is soft and fits very comfortably. There are also no noticeable side effects that I could find while wearing this nasal clip, which is a very big plus. The Airmax usually lasts for 3 months before having to be replaced. The Airmax nasal clips come in two sizes, small and medium. Try the trial pack first, which comes with a small and medium clip. Then you select the one that fits you better for future orders. The Airmax has been tested and cleared for safety by the United States Food and Drug Administration (FDA), and is certified and tested by ENT doctors worldwide. The Airmax is also patented worldwide. Not what you are looking for? 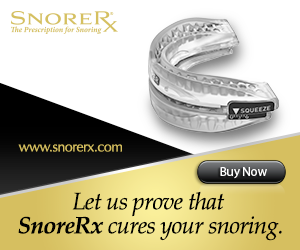 Maybe you prefer a stop snoring mouthpiece? See my review on one of the best mouthpieces on the market, called Good Morning Snore Solution. In a clinical study which was done in 2013, the Airmax nasal clips was compared and tested against other similar products. The results of the study found that Airmax performed 3.6 times better, as far as airflow improvement was concerned. It was further found that the majority of people tested wanted to continue using the Airmax above any other device. You can read the full case study here. Made from medical certified compound, which makes it safe to use. Cleared for safety by the United States Food and Drug Administration (FDA), and other international health boards. Clinically proven to work, as proven in studies done in 2013. No noticeable side effects experienced. Easy to clean with water and mild soap. Multiple uses, also perfect for athletes and people with allergies or other forms of blocked noses. Can be used together with other device or appliance, such as mouthpiece, CPAP or chin strap. Short lifespan of 3 months, then requires replacement; the 2 pack purchase packages makes up for it as one purchase will last 6 months. Limited range, people with very large noses might struggle to get the right fit. Not everybody can tolerate something placed in/up their nose. Not rated. This is not necessarily a negative sign, as some companies don’t actively seek BBB accreditation. The AIRMAX Anti Snore Nasal Clip is a great product which will easily fit in your nose, and will undoubtedly improve your breathing. The nasal clip is advertised as an anti snore device, but in truth can be used for much more than just anti snoring. The product is non-invasive; you will even forget that you are wearing it, which is another great aspect about Airmax. The Airmax will improve breathing during cold and flu season, as well as with those pesky allergies. Some people have in fact also reported how Airmax assisted them in their daily activities. The Airmax boasts a very high level of customer satisfaction, me being one of them. Airmax is also available as a Sport Nasal Clip, which will improve performance because of better breathing. The Airmax is made of a soft odourless medical certified compound (S.E.B.S. ), which makes it safe and comfortable to wear. It is clinically tested and FDA and other international health boards approved. It is therefore safe and effective to use. Give the AIRMAX Anti Snore Nasal Clip a try, you won’t regret it. Your situation and snoring dynamics are of course different. A device that I love or that suits your partner might not be the best solution for you, so you need to determine what works. If you wear the device and it does not improve your breathing, you should visit an Ear, Nose and Throat (ENT) doctor for advice. Look at your situation, the type of snorer you are, and the type of devices available for your needs. Read this review and decide if this will be a true fit for you, just as it has been for a multitude of other people. I really hope you will find the solution that is perfect for you. If you suffer from OSA, you should consult your doctor before using any anti-snoring device. Please be so kind to come back later and tell us what you think of this product, if you do end up buying it. It will go a long way to help others make the same difficult choice that you had to make.